Come on, you have a little time to participate in a fun BLOG HOP! Especially one hosted by My Minds Eye. 12 Days of Christmas AND Both Kraft Funday Collections! Begin the blog hop at the My Mind's Eye blog and hop in order" including a link to the MME blog. We'll give you through Wednesday, December 28, 2011 to hop. And best part there are two ways to win...read the details back on the MME Blog!! What a sweet gift box. Love the ribbons you chose! Happy Holidays! Love the box! The edges on this box are perfect! Such a cute package - thanks for sharing this on the MME blog hop! What a beautiful way to give a gift! Love that box, just beautiful! Beautiful gift box for someone special! Happy Holidays. I love your package. That bow is gorgeous as is the box. Merry Christmas. Now I just want to see what's in this cute box! Boxes are so fun to make and this paper completes it! Such a pretty gift box! Thanks for sharing. Love the gift box...love the way you used the wood banner! Beautifully wrapped! Thanks for sharing. Love the sweet little boxes! love the blue/brown color combination and the tulle and ribbon. Happy Holidays! Hi Lori !!! Super cute gift box !!! Wishing you a very Merry Christmas !! oh the box is so adorable!! I LOVE that paper!!! What a cute little box! Love it! I love the new kraft collection and what you have done with it. Awesome job and Merry Chrstmas. Who wouldn't love receiving a gift in this box?! Beautiful gift box. It will make any gift very special. Nice work. Great gift box, love it! I love this new kraft paper collection and it really makes your box impressive. Great job!!! cute box and love the bow! Ooh love the kraft & ribbon wrapping! Fun box! Kraft is so versatile. Your gift box is adorable! Love it! Too pretty to open, fabulous job!! Very nice. As others have said, it makes you wonder what's in the box, but it's such a shame having to unwrap it in order to find out. Beautiful gift box, you inspire me to use my products on more than scrapbook pages and cards..
Oh so pretty! Who wouldn't love to receive this beautiful package? Fabulous gift box. LOVE kraft paper! The gift box is so cute and so creative - thanks so much for sharing it!! These Kraft papers are perfect for making boxes - love it! Those boxes are really classy. Who knew Kraft paper could do all that. Happy Holidays! Gorgeous box - have a lovely Christmas. Merry Christmas! Love your gift box. I have to admit that one of my favorite parts of gift giving is the wrapping. I adore your wrapped gift, very well done, love it! Wish you a wonderful Holiday! What a cute box...I am just in love with the Kraft collection. You made the box so cute and festive. Happy Holidays. Such a lovely box, thanks for sharing. Blessed Christmas to you. Darling box. The kraft is great. What a cute box! Who wouldn't want to receive a gift in something that cute? Love the ribbons!!! TFS. Happy Christmas!!! 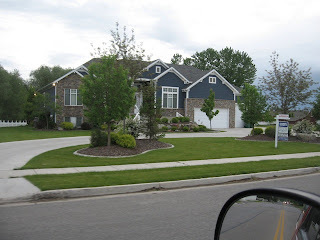 Lori, I'm so glad I'm doing this hop, and I found your blog! I've loved watching your segments on My Craft Channel! Your box is absolutely adorable! All of the different ribbon textures on it add so much! Love your box and how you used the paper. 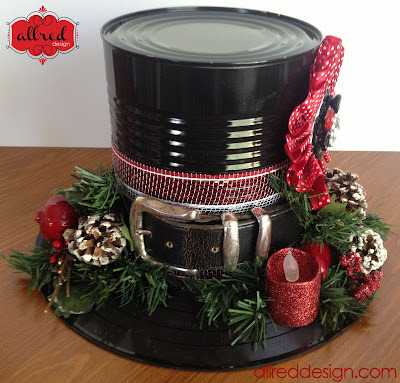 Cute box and so many other fun ideas. Love it! Happy Holidays! I LOVE boxes! Homemade wrapping, a lovely addition to any gift. What a beautiful, creative box. Beautiful box. Would love to see it under my tree (even empty)! This project is just too cute! Love the idea. Beautiful gift box! Love it! What a beautiful gift box! Love that wrapping! I wouldn't even want to open it! So pretty! Now I love that paper even more! Anyone would be thrilled to get this gift! Your gift is amazing - I was complimented on my wrapping this year, & yours way outdid mine!! :-) Thank you for sharing & Merry Christmas! cute project. kraft is a fav of mine. Love the gift box! I love the color combination, the ribbons, and the tag. 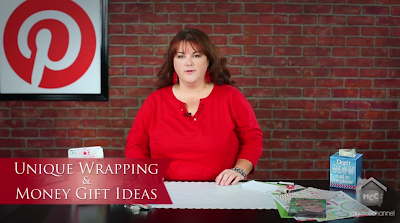 Love the whole wrapping idea. Good job! Beautiful gift box. I love it. Such a great box! TFS and thanks for the opportunity to win! What a cute little box! The kraft works perfectly with any holiday. This is just great! 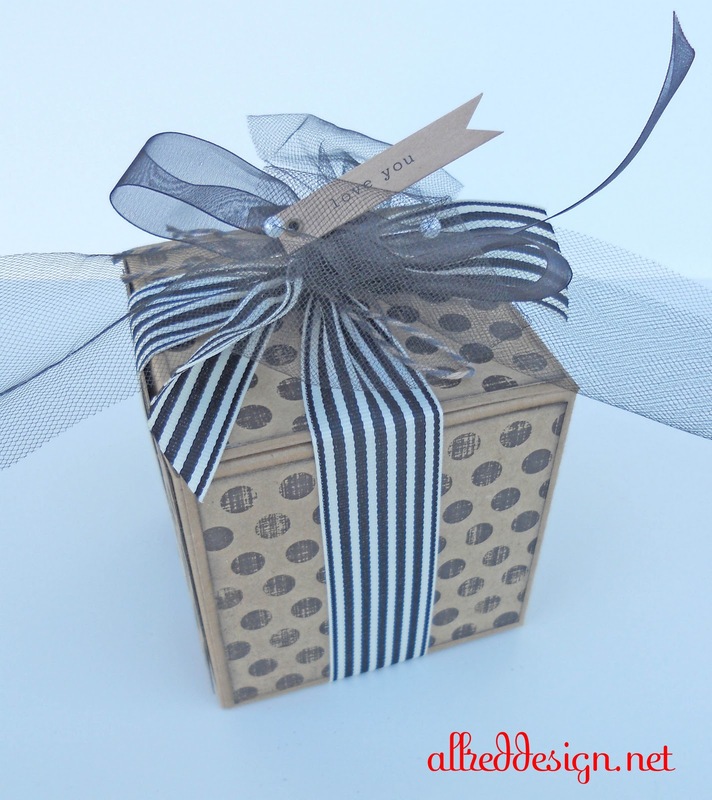 such a sweet little gift box, i am sure anyone would love to find it under their tree! SO cute love that box! Wow sooo perfect gift! Lucky to get that! Your gift packaging is so beautiful and elegant :) Great way to use your paper. Merry Christmas Lori! 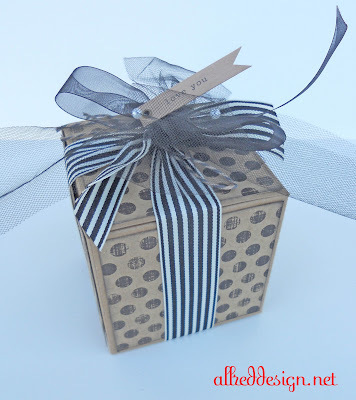 What a cute little gift box and beautiful paper and ribbon! Thanks for being part of the fun Hop and the chance to win some great goodies! I like the different ribbons you used on the box...very pretty. pretty box! love the kraft. Love your box!! What a great idea! Jo L.
This box is GREAT! I have a few birthdays coming up...will have to get busy! What a super cute gift box! I love everything and anything that is Kraft-y :) Happy Holidays!!! Beautifully wrapped gift. It would be fantastic to win the prize wrapped like that! Such a pretty gift box! Love the box you made and I love all things Kraft! I love the Kraft collection and that gift box is adorable! Thanks so much for sharing! You can never have enough Kraft color! Awesome! Thanks so much for a chance to win. I am enjoying the hop and meeting awesome new people! Great boxes! I love MME papers and Kraft, and this collection is the best of both worlds! Thanks for the inspiration and the chance to win! I would love to give or receive anything wrapped in such beautiful packaging!!!!! Lovin' the blog hop!!!!! I love the beautiful gift box!! Wonder what beautiful surprise is inside??!! That is such a cute little gift box! Very nice box. Simply and pretty. I really love it. It's a beautiful package! Who wouldn't love getting it? I like your use of the paper. So out of the box! sweet present! the ribbons are my favorite part! This box is amazing! I love kraft papers, and the polka dots are such fun. Also love your choice of ribbons and the tag! Thanks for the inspiration! What a lovely gift box, it would almost be a shame to open it! Happy Holidays to you. Great gift box and ribbons. What a cute box!!! Love it! what a beautiful box, i hope there is nothing in it, because i wouldn't want to open it!!! Great gift box! Great idea! TFS! What a pretty box to package up a pretty gift. Thanks for sharing your talents. cute box! loving the kraft collection. Thank you for sharing....love the kraft collection. Beautiful box!! You cannot but love what is inside!!! What a fun wrap!! I love kraft paper wrapping! oh, wow, I really hope that I win, I've already been inspired to do some Christmas scrapbooking by looking at all of the fun blogs. Love the gift box -- beautiful.